United's proud record of featuring an Academy graduate in every squad since 1937 has not been threatened under Mourinho despite fears to the contrary. Rashford, Lingard and Pogba - techincally - have kept that tradition going, and Tim Fosu-Mensah has also been involved with the first team after an impressive breakthrough last term. With United's defensive resources stretched to the limit in the absences of Smalling, Bailly, Valencia and Shaw, the manager may need to turn to the production line once more. It seems as though Jose may have already identified the ideal player to fill the void. Axel Tuanzebe needed only eight pre-season minutes against Wigan to prove to his new boss that he has all the assets to be the natural successor at the back. So much so, he was included in the 27-man Europa League squad list. 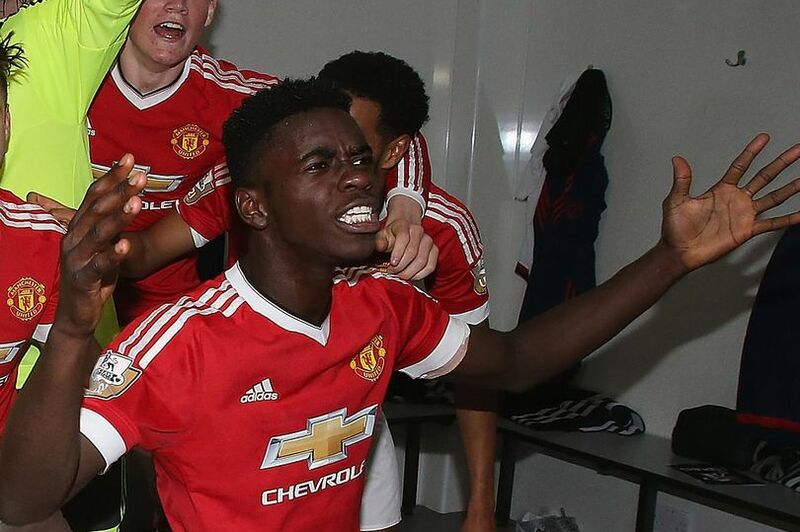 Tuanzebe was actually the first Academy graduate to feature in a first-team squad under LVG but never made it off the bench - he was an unused sub at Palace and Bournemouth last term. A composed defender with pace, athleticism and intelligence beyond his years, Tuanzebe is a ball-playing centre-back who can step into defensive midfield if needed. His Reserves team-mate Ro-Shaun Williams - who was a first team substitute against West Ham and Liverpool last season - is more suited to that role with Tuanzebe regarded as an out-and-out centre-back. To enhance his burgeoning reputation further, he captained the Under 19 side as a first year scholar and is already skipper of the Reserves (he turns 19 on Monday). Eric Bailly won't be back until January once he's been to the AFCON, Smalling is out for almost as long and Marcos Rojo simply isn't good enough. Phil Jones can't be relied upon to stay fit and Daley Blind remains unconvincing as a centre-half. Tuanzebe is already outgrowing second-string football - the best player on the pitch every week and has been training with the first team under Jose's watchful eye. The Rochdale-born youngster has been at United since he was eight and looks the most likely to emerge as the next breakthrough star off the Carrington conveyor belt. Honours: League winner with the Under 21s and an England international at U19 level.